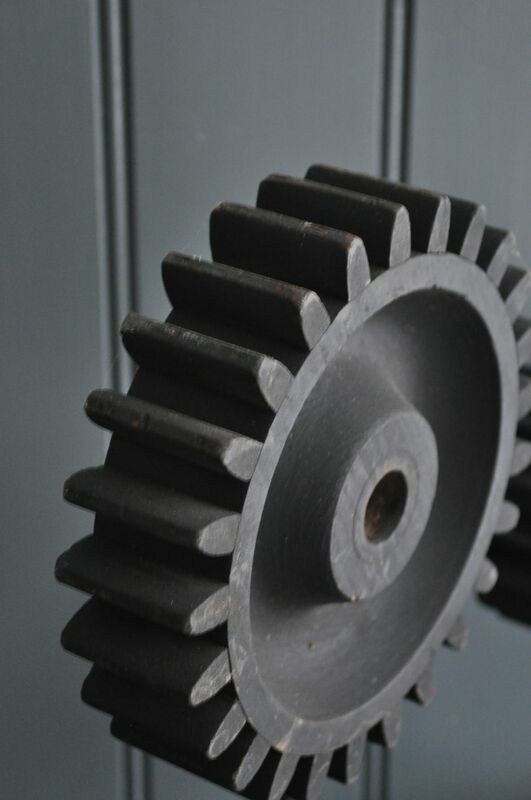 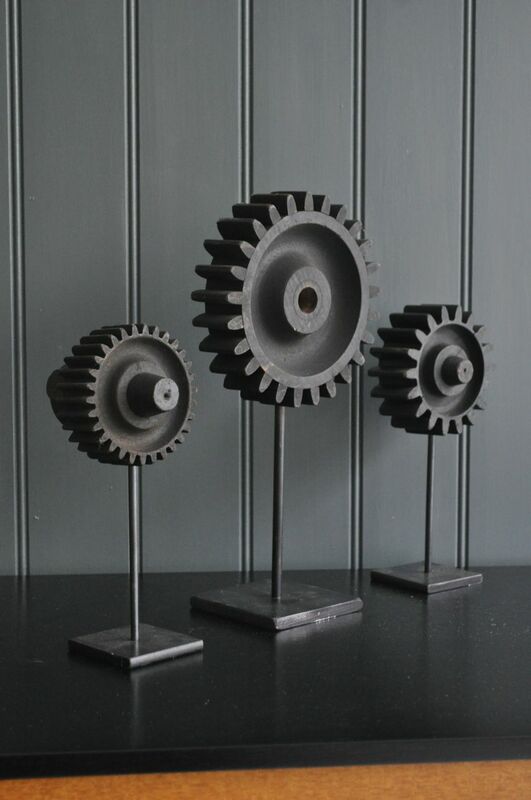 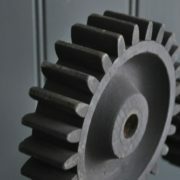 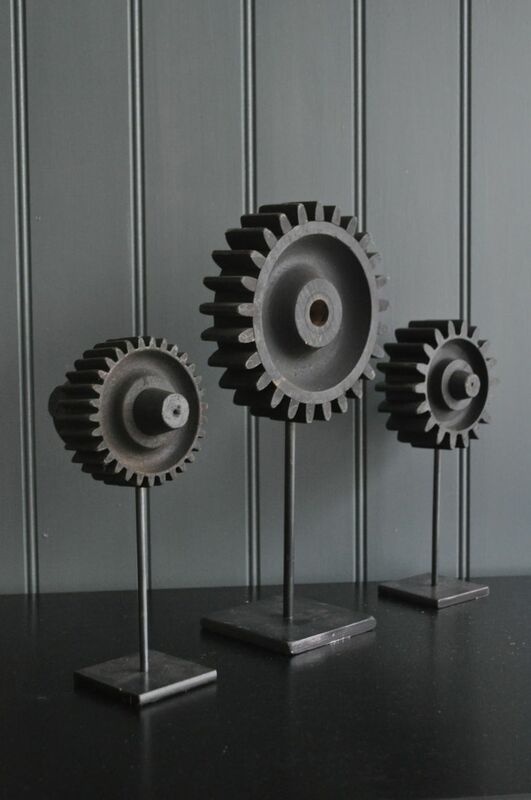 Vintage wooden cogs, newly mounted on simple metal stands. 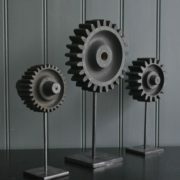 A sculptural and simple collection. Price is for all three, and dimensions given are for the largest.